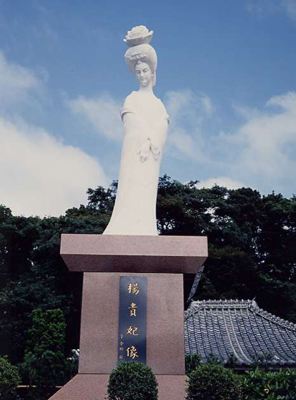 the beautiful princess Yang Guifei (Yokihi) escaped to Nagato from the Tang Empire in China to Nagato. 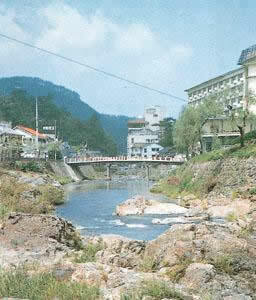 There are 5 great hot springs in Nagato; Yumen, Yumoto, Tawarayama, Kiwado, and Yuyawan. in the northern part of Yamaguchi. The master of the Mori clan visited Yumoto to bathe in the Edo era. Steamed and roasted fish paste, called chikuwa, and chicken are special products of Nagato. Nagato prospered as a whaling base in the Edo era. 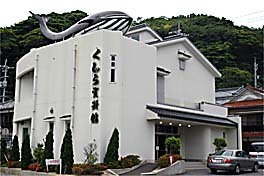 whaling and fishing customs are displayed in the Whale Museum. Nagato is located in the northwest of Yamaguchi: Prefecture. because many rocks have been eroded by the rough waves. 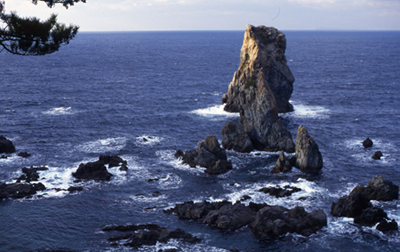 Omijima is a part of the Kitanagato Coast Quasi‐National Park.